The American Southwest is home for the Monument Valley. This is a familiar place to many travelers and photography enthusiasts because of the deep and bright colors of the buttes. People often marvel at these rugged and iconic land formations. The popularity of this place has caught the attention of many Hollywood filmmakers through the years. A lot of the classic cowboy scenes used Monument Valley as the backdrop for Hollywood movies. For those who capture the beauty of nature through their camera lenses, the Monument Valley is a mecca to look forward to. The unique and interesting topography and environment in Monument Valley made it as a perfect place for indulging with photography. The fine art image featured right here has the characteristics of an captivating shot. Interestingly, this image rocks the rule of the odds in photography. This is a catchy picture since it plays well with the fact that the eyes tend to be more at ease with photos that contain odd number of elements. As the human eye wanders at the rock formation right off the center it draws attention from the viewers and gets rid of the annoying blank space. 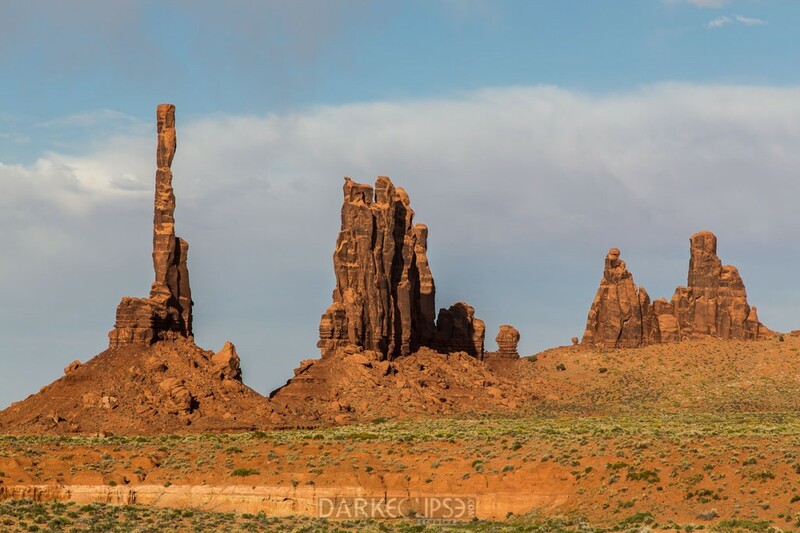 This photograph can depict the true beauty of American Southwest & showcases Monument Valley well. Thus, getting a fine art print of this image will be a nice addition to an arsenal of design pieces for a home or office. This can be an adorable wall ornament for a fireplace or a family room.